Unfortunately, this is far from the truth. Spiders, ants, cockroaches, termites, bed bugs, fleas, rats and mice are alive and well, even though the cold may have slowed them down a tad. The search for some relief from these pests can leave you literally scratching for answers. The experts at Dawson’s Pest Control understand that pests don’t go south for the winter. In fact, the warmth of your heating can attract rodents and other pests, seeking shelter from the cold. The threat of them is ever present and vigilance is needed year round. 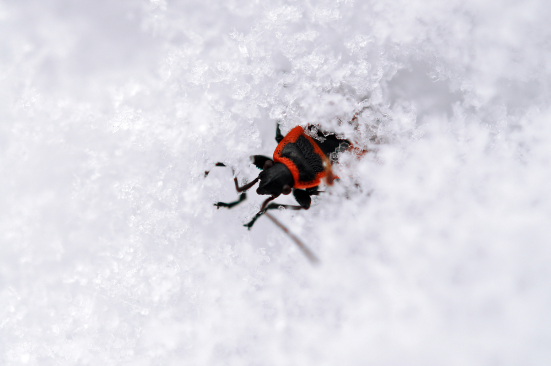 Following are a few tricks and tips to assist you in keeping your home pest free during these chilly winter months. Seal entry points such as holes and cracks, around the exterior of the home. Mice can squeeze through the tiniest of holes so be particularly vigilant sealing areas where pipes enter the home. Maintain and repair weather stripping and seals around windows and doors. Install protective screens over vents and openings such as chimneys to prevent access from rats and mice. These little pests will be looking for a warm place to spend the winter--make sure they don’t decide to make your home their winter retreat! Store food items in sealed plastic containers rather than paper or cardboard. Wipe up spills or food residue as soon as they occur to prevent attracting unwanted visits from rodents, ants or cockroaches. Inspect pets regularly for fleas and ticks. No matter how vigilant you are in all other matters, allowing pets to roam outside and then enter your home is literally welcoming these little varmints into your carpets and furnishings. Contact your veterinarian to discuss the best methods to treat pets for infestation. Store firewood away from the home and keep it on a raised platform above the ground. Keep trees trimmed and make sure bushes and shrubs are kept well back from walls. Trees and shrubs are havens for spiders but can also act as bridge access for rodents, ants and termites. If you notice any evidence of rodents such as gnaw marks on wires, insulation or walls, or signs of termite frass around the home, give Dawson’s a call immediately. The harm these pests can cause to vital services such as electrical wiring, needs to be nipped in the bud before expensive damage has occurred. 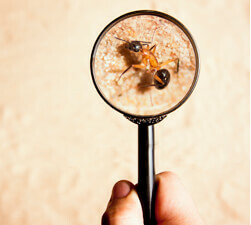 White ants (termites) are still active in winter and can undermine the foundations and internal walls of your home. Inspect books regularly for signs of termites as they love nothing more than a little light reading and a snack! If you are experiencing the signs of unwanted guests in your home this winter, give the experts at Dawson’s Pest Control a call. Our professional team of experts have unparallelled experience and knowledge to bring you safe and effective treatment programs to rid your home of unwelcome pests. We also provide tips on identifying pests, preventative measures and recommendations, to help you stay safe all year round.